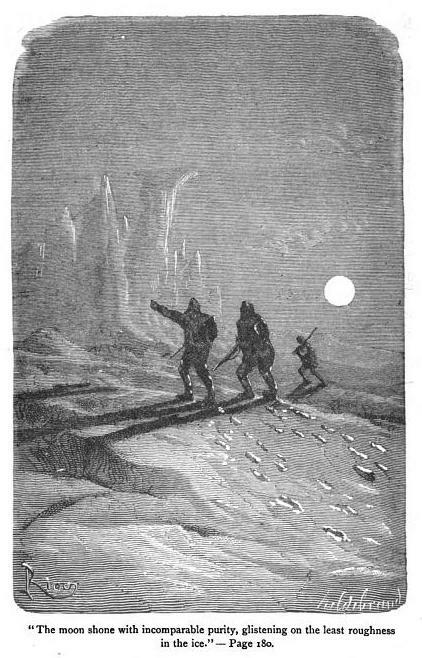 The mariners stranded in the icy wastes of Antarctica, where, as an 1850 edition of Household Words reports, “crashing mountains of ice, heaped up together, have made a chaos round their ships”; the mariners icily bearded, enjoying no company besides animals and birds white as though “they too were born of the desolate snow and frost” – how did they observe the year-end holidays? With merriment and good cheer, as it turns out. The 1841 South Pole expedition was the very picture of high spirits on the high seas. The crew celebrated Christmas in grand English style, unfriendly environs notwithstanding. Such animal life as existed there paid no heed to them. Seals basked sleepily on floating chunks of ice. The black curve of a whale’s back peeked through a fissure and disappeared again. 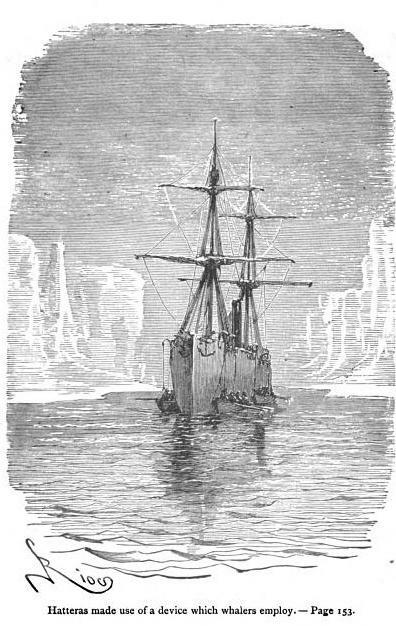 Two ships, the “Terror” and the “Erebus,” occupied a small opening in ice pack seven hundred miles wide. Ice covered the decks; a dense, gray fog, the ships. Except for flocks of shrieking terns that sometimes passed by, all was still and silent. 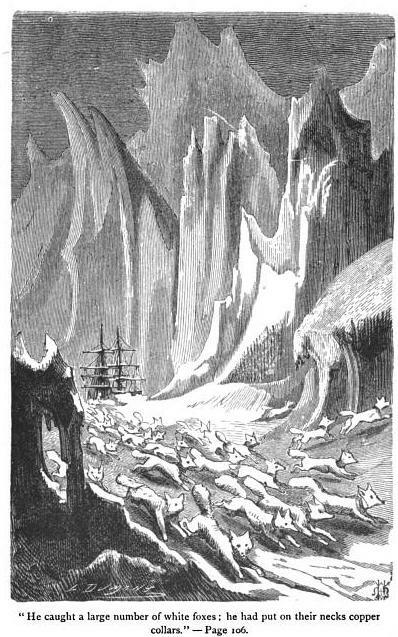 A giant formation brooded over the ships, and this the sailors christened the “Christmas Berg.” In its shadow they feasted on roast beef, roast goose and the “homely never-to-be-forgotten plum pudding.” And though the beasts had drawn “their first breath on the fern-clad plateau of the Waimate, near the Bay Islands of New Zealand,” and not in the dales of England, they were nevertheless tasty. The sailors followed their sumptuous dinner with a Divine service. New Year occasioned more elaborate amusement. By then the ships had dipped south of the Antarctic circle and had become frozen fast, more so than they were at Christmas. Such imprisonment did little to dampen the sailors’ mirth, however. With “ice anchors and hawsers” they lashed their ships to a large floe. On it they fashioned “a quadrangle space … for a dance.” This fantastic dance floor at the foot of a descending staircase of ice was christened “Antarctic Hotel” and “bore on a sign-board, fixed to a pale, the words ‘Pilgrims of the Ocean’ and on the reverse ‘Pioneers of Science.’” “An elevated chair … of the same substance” stood in its center. Adjacent to the ballroom the sailors carved a refreshment room, in which bottles of grog and wine covered a table chiseled from the surrounding ice. More substantial refreshments were available as well. Two young seamen acting as waiters handed out “genuine Antarctic ices” on a tray. but mince pies took the place of Yuletide plum pudding. 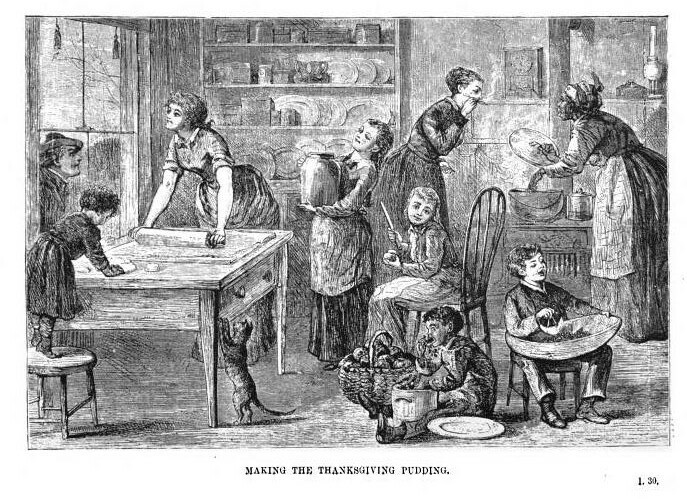 If winter’s chill should have you stuck in place for the holidays, a tasty plum pudding ought to cheer you at least as much as it did any ice-bound English sailor. The recipe below, which appears in Practical Recipes (1909), will have the “Haidee” in your life melting with anticipation. And if you’d like to serve something restorative to your snowy friend, you can throw in a frozen pudding for good measure. (Virginia recipe) 10 eggs, 1 pound each of chopped suet, chopped to a powder, raisins (stoned), currants (washed and dried). Candied orange and lemon peel and citron mixed one-half pound. 1 nutmeg, a little salt, a teaspoon of mixed spices, cloves, cinnamon and mace. 1 common glass of sherry wine (best). 1 common glass of brandy (best). 1 pound of stale bread crumbs, 2 or 3 tablespoons of flour. Boil 4 hours and burn brandy over it. Light the brandy just as it goes on the table. Eat with cold sauce. 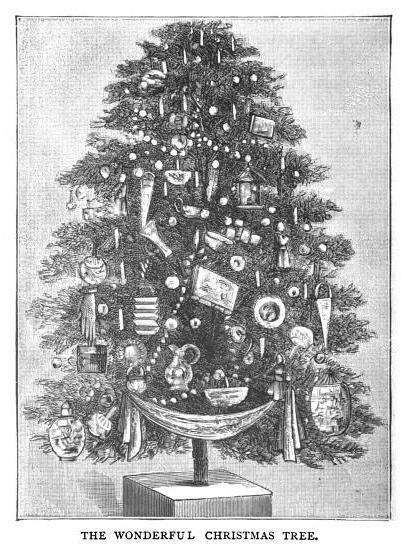 1 pint of rich milk; 2 cups of sugar (powdered); 1 cup of boiled rice; 2 tablespoons of gelatine; 1 quart of rich cream; 1 pound of candied cherries; 4 tablespoons of best sherry wine. Boil the milk and thicken with the rice, stirring constantly for 15 minutes. Add gelatine while hot and permit it to get cool before adding cream and sherry. Freeze 10 minutes before adding wine, then add wine and stir in thoroughly and freeze altogether, and turn out the same as ice cream. If not frozen carefully, it will not be so delicate, as you do not want it stiff and hard. Much better to serve a spicy punch, like this one from Mrs. Norton’s Cook-Book (1917), if one seeks to be both economical and hospitable. 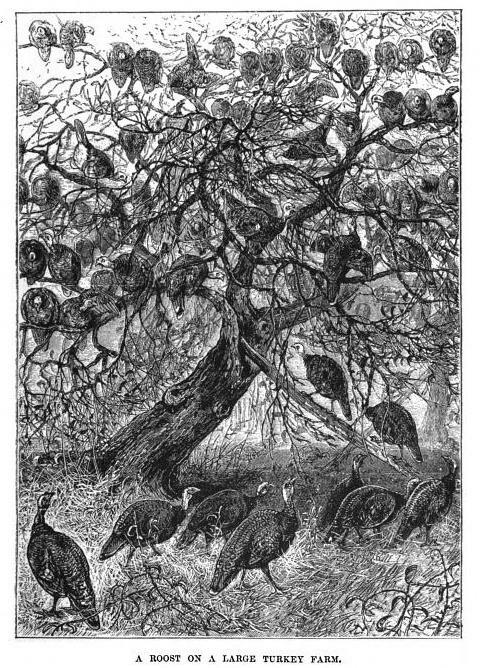 Juice of six oranges, six lemons, two grapefruit, one grated pineapple, two cups of sugar melted in one cup of hot water then cooled, one cup of strong Ceylon tea; when all is chilled add four quarts of water turned over a block of ice in the punch bowl. Drain a small bottle of maraschino cherries, and float them on top with a few candied mint leaves.